Asbestos is a naturally occurring fibrous mineral, there are six in total which have been used in a multitude of products for well over a hundred years Actinolite, Amosite, Anthophyllite, Chrysotile, Crocidolite, and Tremolite. Chrysotile and Amosite asbestos are the most commonly used in applications. In general, asbestos is very versatile and is used to provide additional strength to materials such as cement sheets, fascias and soffits, Artex walls and celings, water tanks and floor tiles; insulating and fire proofing characteristics to pipe lagging. There are three main types of asbestos, these are Amosite, Crocidolite and Chrysotile. They are often referred to as brown, blue and white asbestos respectively. It is not as simple as identifying these forms by their appearance alone. 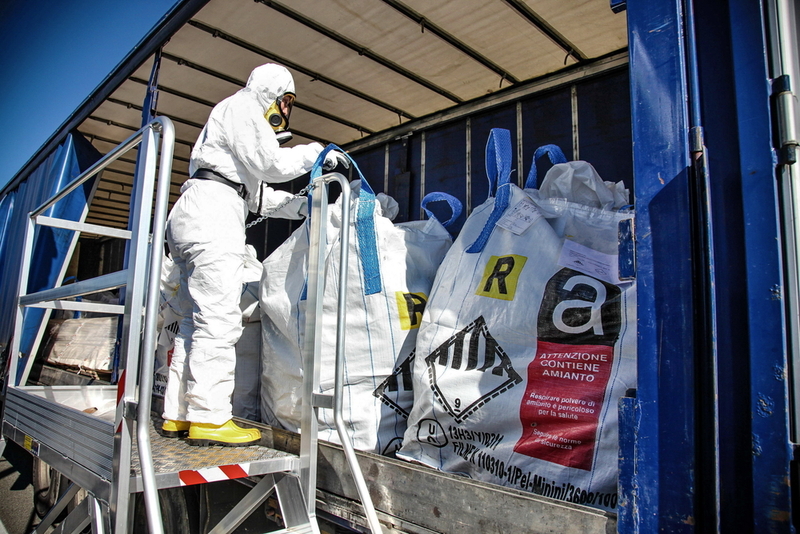 A sample needs to be taken and a laboratory analysis and report is required to determine if asbestos is present and how it will need removing/managing. As a property owner you are responsible for your home. If you live within your property you may be requested to have an asbestos survey to be carried out if you are selling your home. This can be beneficial as it saves potential buyers requesting this at a later stage and the process of buying, delaying or even buyers pulling out of the sale entirely. 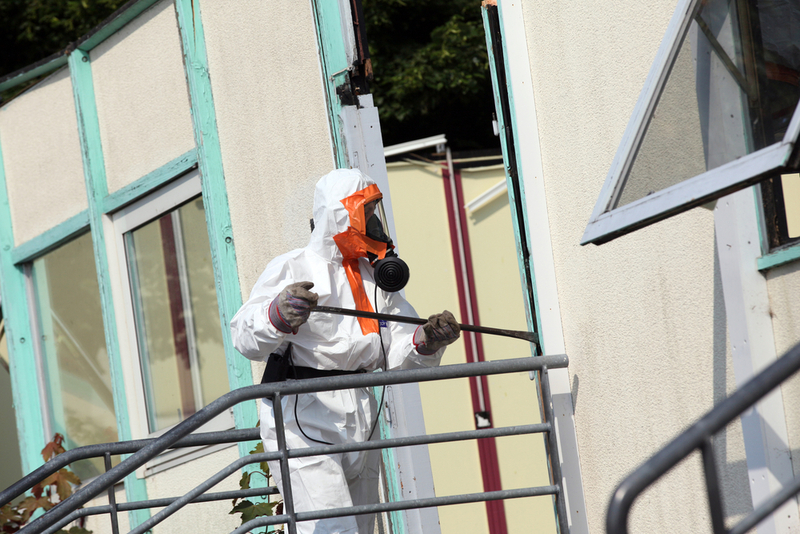 If you are a landlord you are required by law to have an asbestos survey and let your tenants know. C. Wood and Son are here to give friendly advice and can remove asbestos safely from your home. 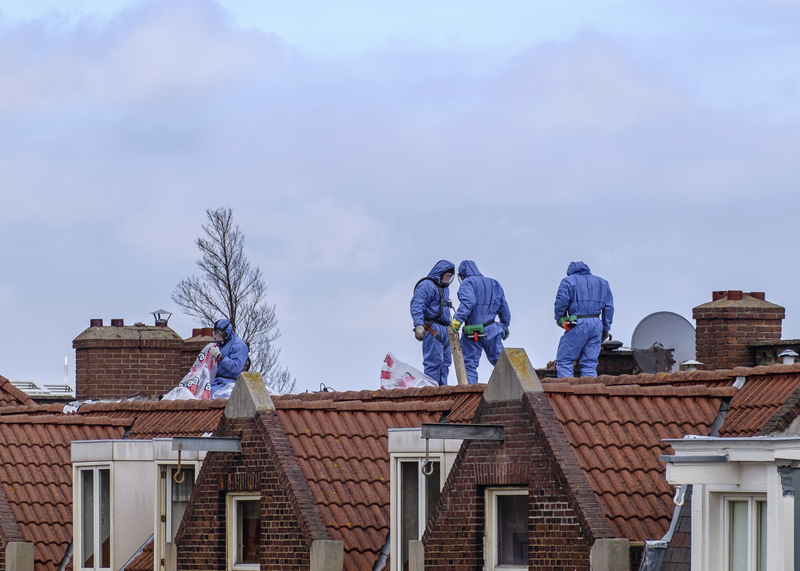 If your home was built before the year 2000 there could be asbestos present in roofs, floor tiles, lofts, boilers, airing cupboards and utility cupboards. An asbestos survey will establish what the risks are and we can then advise you of the available options for removing or managing asbestos safely. Please click here to determine which survey may be required. As an owner of a domestic or a commercial building it is your legal responsibility to have at least a management survey carried out to your property if you are renting/leasing out your property. We remove all types of asbestos from all types of commercial buildings, Office Buildings, Factories, Warehouses, Hospitals and Schools. We do not charge for attending properties and assessing what is required and give you an honest and impartial assessment of the situation on site, regardless of asbestos. We will advise you on your responsibilities as a building owner or landlord under the Control of Asbestos regulations (2012). We will help you to set up your measures to protect you, your staff and visitors to your site. If a survey or sample is to be taken to access the type of asbestos this is at an additional charge due to the reporting and sample analysis that needs conducting to give you the information you require. Statistics show over 4,000 people a year are still dying from being exposed to asbestos, most of these are now tradesmen, electricians, plumbers, alarm and fire engineers, carpenters, caretakers and site handymen who have inadvertently drilled into, broken or disturbed unknown asbestos in a building just like yours. You have a duty under current legislation to protect all of those that come onto your site, from exposure to asbestos. Asbestos fibres can enter the body whilst inhaling (breathing) through the nose and mouth. The fibres can’t be absorbed through your skin into the body because the body naturally gets rid of any asbestos fibres that you might take in with food and water. Repeated exposure can lead to larger amounts of fibres being retained in the body which can pass into the lung which can be extremely harmful. Repetitive exposures can lead to life threatening lung diseases and as a result it is extremely important that the control and exposure is maintained throughout. The internal damage to the body is not immediate and takes time to develop. However, once diagnosed, in most instances it is too late for any medical help. Therefore careful management and disposal is paramount for the safety of your workforce and the general public. There is a duty of care for all parties to ensure the safety of all. Asbestosis – this is the scaring of the lung. Over time this results in breathing difficulties. This type of disease occurs over a longer period of time due to excessive exposure to the fibres. Lung cancer – this has the same appearance as lung cancer that is caused by smoking. Mesothelioma – this is a cancer of the lining around the lungs (pleura) and within the stomach in the lower digestive tract, known as peritoneum. There is no cure for asbestos-related diseases and is considered to be fatal. In the UK it accounts for 5000 deaths, which is more than the number of road casualties. It is when the asbestos is disturbed that results in the fibres being released into the air.